I've wanted to do this kit for a while, especially after seeing so many WW1 types featured on Aeroscale lately. 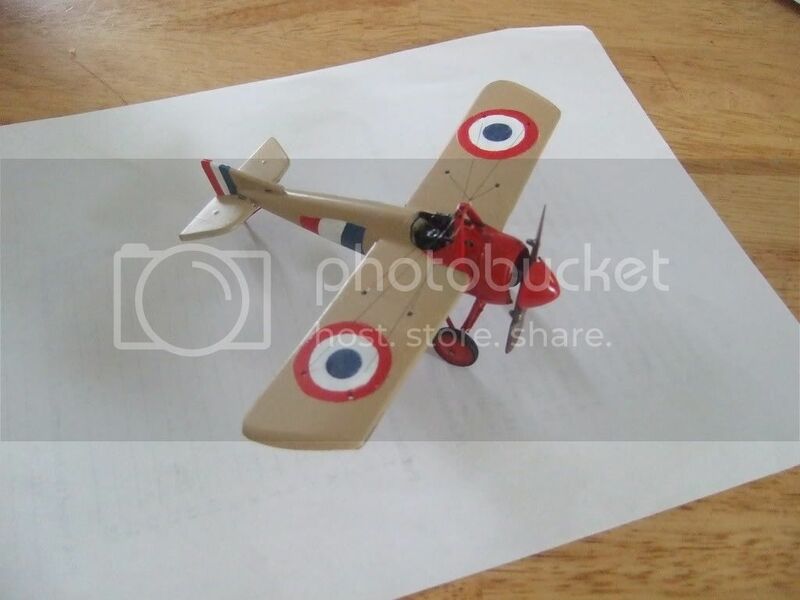 I don't have the nerve to try rigging a biplane so it was the Morane or nothing!. On opening the box the small size of these early aircraft is immediately evident, especially as my last 'plane was a 1/32 P47 - about three or four times the size of this baby. All the part are packed in a heat sealed plastic bag, with other seperate bags inside that containing the resin, acetate, clear and PE parts. The grey plastic used for the main sprues is soft and should be easy to work on - just as well, as there are a number of large stubs left from the ejector pins that will need to be removed before assembly commences. The surface detail is sharply defined for what there is, no panel lines other than the metal panels of the cowling and nose area. Rib tapes are there where appropriate and this will be a help if using one of the three colour schemes. There are no visible sink marks or other blemishes on the exterior surfaces. The resin parts are very well cast and the small amount of flash evident in the photos shouldn't be a problem. I have to wonder though why most of these parts are provided in resin as modern mould techniques would be able to provide just as high a quality in plastic; and that would prevent clumsy old fools like me from supergluing bits to their fingers, tweezers, clothing and carpet! Perhaps it's just the current fashion to use multi-media components? There is only one clear part for the windscreen, nothing much to report as it's simply a flat part attached by the flat edge to it's own small sprue. It is seperately packed to prevent scratching. The only other item of note is the small acetate sheet with the instrument dials which should add to a fairly basic interior. The instruction sheet is sharply printed and clearly laid out. The only criticism would be that the paint colour tags are not that easy to make out, but this wouldn't be a problem to an experienced modeller who would probably ignore them in favour of their own research. Colour schemes and marking are shown in monochrome, but there is a website address on the sheet where colour scans can be downloaded if needed. The decal sheet is by Aviprint, is in perfect register and the colours appear solid and well defined. There are three marking options. One black nosed machine from No1 squadron, and two red-nosed aircraft from No60 squadron. Click HERE to follow the Build Log in the Forum. Highs: Nicely moulded parts, clear instructions. Verdict: It would be a good introduction to WW1 aircraft for a modeller with good basic skills. Copyright ©2019 text by Dave Cox [ DAVECOX ]. Images also by copyright holder unless otherwise noted. Opinions expressed are those of the author(s) and not necessarily those of AeroScale. All rights reserved.